Hey! 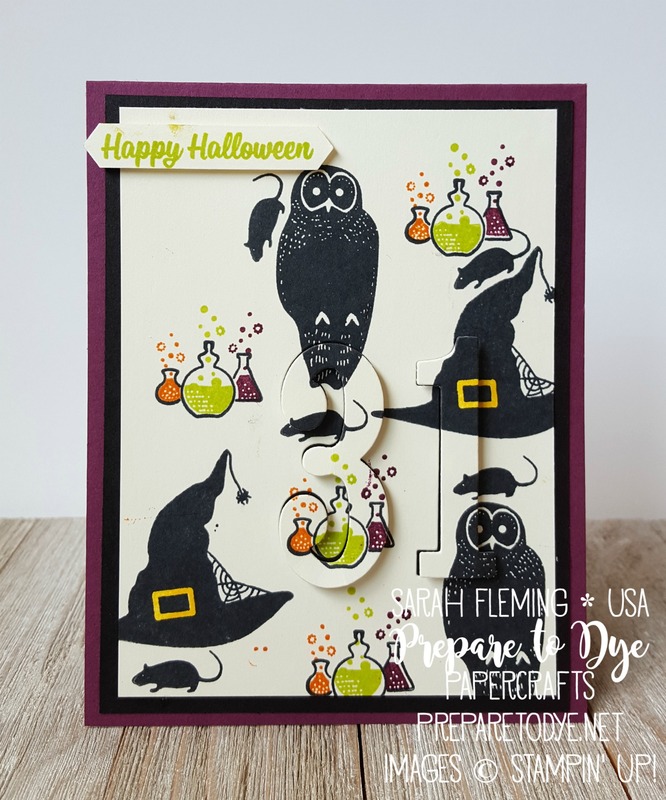 This week in my Facebook Live video, I made this Halloween-themed eclipse card. These are pretty popular right now, and I’d never made one, so I thought I’d give it a shot. 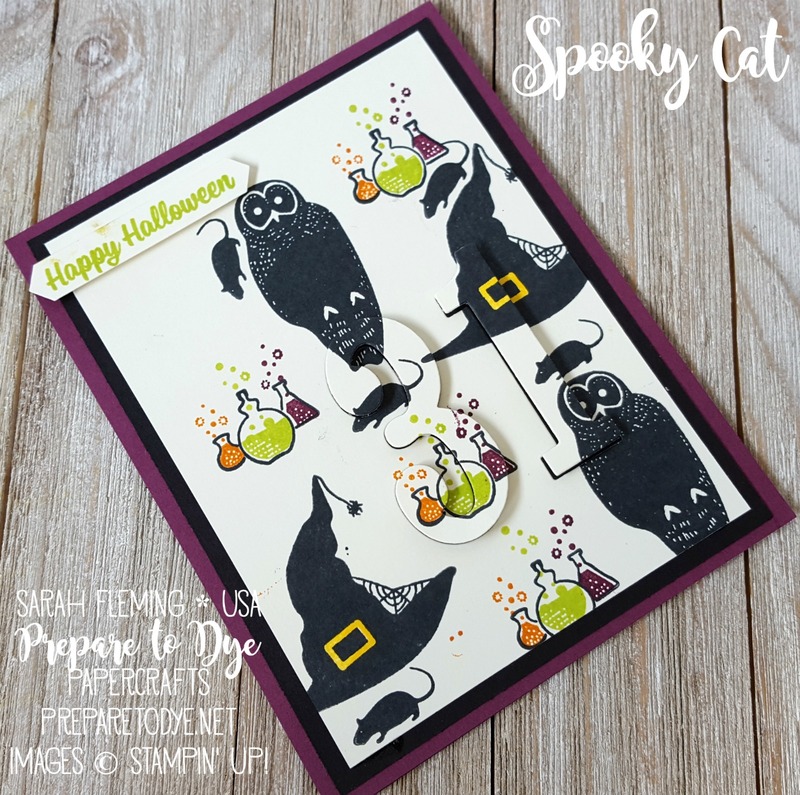 The stamps are all from the Spooky Cat stamp set. I adore this set! So fun. Who’d have thought I’d love a tiny rat stamp? And yeah, I naturally smudged the sentiment somewhere between my craft room and the spot where I take my photos. Here’s the inside. 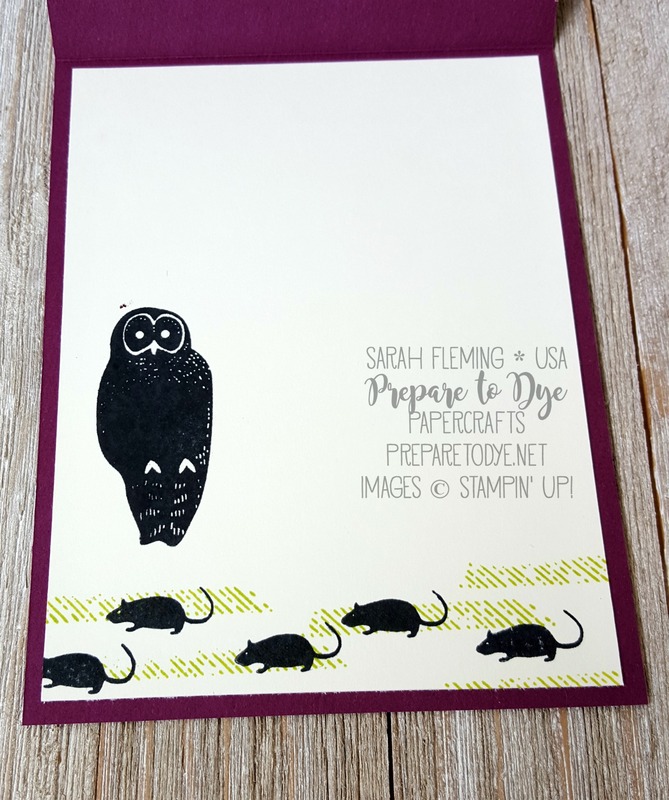 It was just going to be the rats and the scratch lines, but the owl is covering up yet another smudge. I’ve really got to learn to clean the ink off my hands. Watch the video to see how I made the card! And don’t forget to subscribe to my YouTube channel while you’re there.